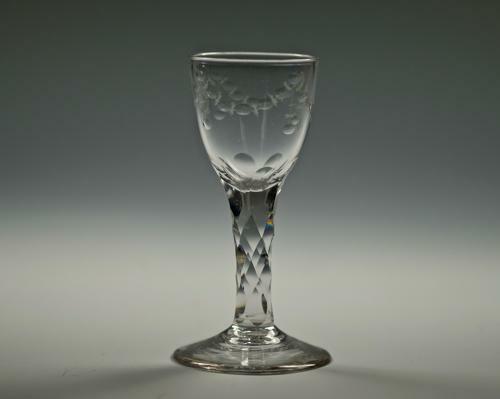 Wine glass with a round funnel bowl engraved with a ‘oxo’ festoons, diamond facet cut stem and a plain conical foot. English C1780. Condition: Tiny little nick on the edge of the foot.